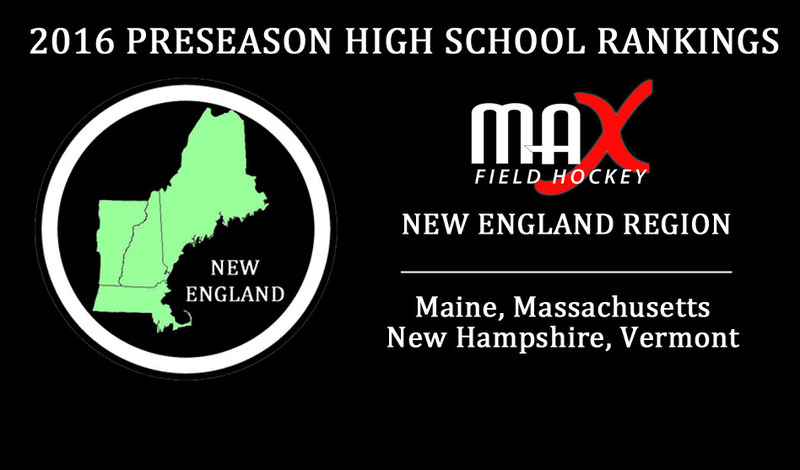 We kick off the 2016 High School Field Hockey season with the Preseason Rankings and Players-to-Watch for the New England Region! The New England Region consists of all public and private schools in the states of Maine, Massachusetts, New Hampshire, and Vermont. MAX Field Hockey’s Regional Rankings for 2016 have been expanded from a Top 10 to a Top 20! The #1 preseason spot in the New England Region this Fall should come as no surprise. Eileen Donahue’s Watertown High School Raiders will look to continue their 160 game unbeaten streak and claim a 7th straight state title this Fall and they will do so returning the New England Region Player of the Year and UConn-bound Kourtney Kennedy. Division I 2-time defending state champions Acton-Boxborough return in the #2 spot, but will have their work cut out for them after graduating Boston Globe Division I Player of the Year Megan Barrett and All-Conference players Emma Bartle and Colleen Francis. We thought the Colonials would have a hard time repeating in 2015 after graduating a very talented senior class from their 2014 state championship team, and they went 23-0 to win it again, so don’t count them out this Fall. 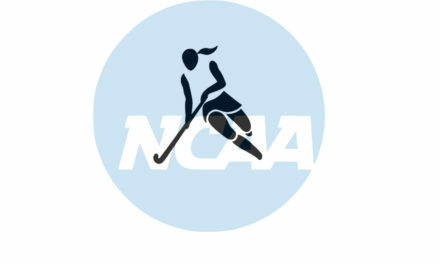 They are expected to be challenged by our #3, #4 and #6 ranked teams, all Massachusetts Division I teams. #3 Longmeadow High School graduated MAX Field Hockey All-Region Player Mary O’Reilly but return a good amount of talent and should be a top contender for another West title. #4 Walpole High School were the 2013 state champions and return three all-conference players in Melanie Weber, Sophia Giovaniello, and Celia Walsh. The 2015 South Division I champions will look to return to the Division I Final Four where they suffered a disappointing 5-1 loss to Acton-Boxborough last Fall. #6 Andover High School return from a very strong 2015 season where they were knocked out by Acton-Boxborough 3-2 in OT Strokes of the Division I North final. They return without four All-Conference seniors. We don’t know much about their returning squad but they have been a dominant force over the last couple of years and we wouldn’t expect any less from them this Fall. On to the state of Maine- Messalonskee High School secures the top spot, coming in at #5. 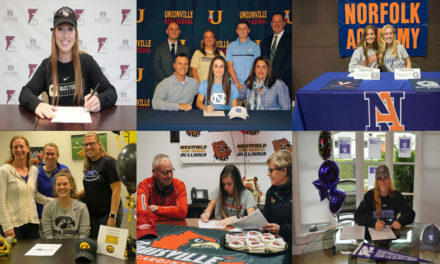 The Eagles graduated MAX Field Hockey All-Region player Emily Hogan, but return a good amount of talent in Allison Corbett, Haley Lowell, and some new names we are beginning to hear about like Autumn Littlefield. After finishing the 2015 regular season at a perfect 14-0 and suffering a disappointing state tournament overtime loss to Skowhegan in the semifinal, we anticipate the Eagles to come back motivated as ever to prove themselves and secure a state title. They will be challenged by the returning state champions Skowhegan, who come in at the #8 spot. The Indians will look to take back their place on top of Class A, after securing their 13th state title in 15 years in 2015. #11 York High School returns as the heavy favorite for another Class B title behind Lily Posternak, who we anticipate to be a strong candidate for Miss Maine Player of the Year. #12 Winnacunnet High School was our clear favorite for the state of New Hampshire. 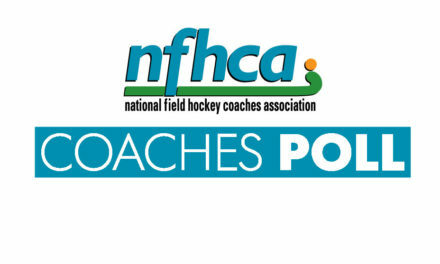 New England Region Coach of the Year Heidi Hand’s squad will be without MAX Field Hockey All-Region player Sophia Cheever, but return 1st Team All-State player Abby Merrill who should be among the top players in the state this Fall. The NEPSAC (the New England Prep School Conference) is a bit open in our minds. Six NEPSAC teams made the Preseason Rankings with the returning Class A Champions Phillips Andover Academy securing the top spot at #7. They return from a 15-2-2 conference championship season without their standout All-Region goalkeeper Olivia Golini and three of their four All-Tournament players from last year. Next up are B Conference contenders Middlesex School (#9), St. Mark’s School (#10) and The Governor’s Academy (#13) who are expected to all return strong programs. St. Mark’s graduated All-Region goalkeeper Emma Plumb, but return Tatum Schultz and a MAX Field Hockey Top 50 player in Grace Sambrook. The Governor’s Academy has lots of big names returning on their roster, including one of MAX Field Hockey’s Top 5 players and Boston College commit Skyler Caron and her very talented twin sister Finn, as well as U17 National Team member Sam Davidson.